The egg to mix with sugar. 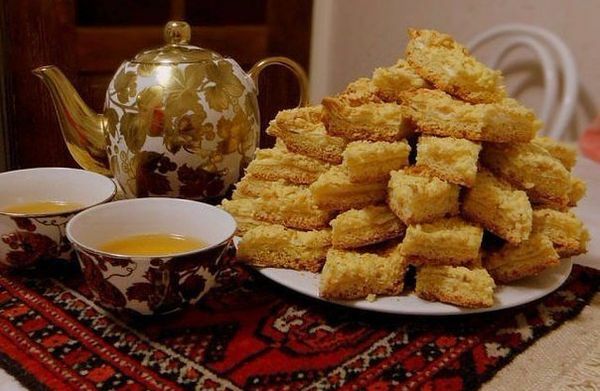 Melt margarine and mix together with sugar and egg. Pour the flour, add soda and salt, mix well. The dough becomes very elastic. 1/4 of dough you put in the freezer. The rest of the dough with a thin layer of hands evenly distributed on the baking sheet. Top smear of jam. Get that piece out of the freezer and grate it on a coarse grater on top. Bake in the oven until it will turn brown 15-20 min.